Loving this year’s Bake Off? Feeling inspired to whip up a few showstoppers of your own? 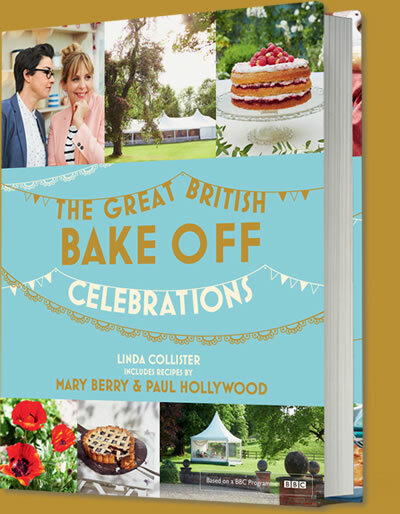 You could be in luck, because we’re giving away ten copies of THE GREAT BRITISH BAKE OFF: CELEBRATIONS, the brand new book for the 2015 series published by Hodder & Stoughton. To enter the prize draw, just answer the question below. Ten lucky winners will be drawn from all correct entries. Closing date 31st August 2015.